LEMAR’s Expedition shorts were designed with all-day comfort in mind. Made from lightweight, compression fabric with UV protection, they support your muscles during long hours of riding and promote blood flow. 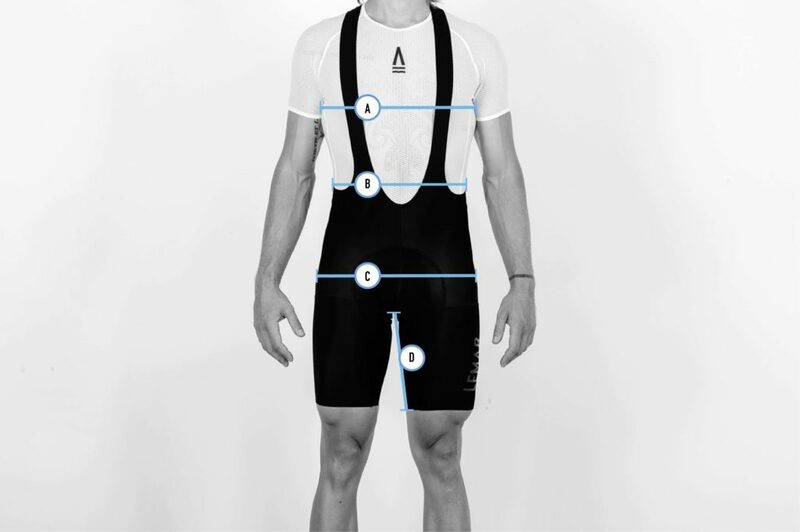 The chamois has been specially designed for stabilization and sweat absorption so that you can ride any type of road without hindering your pedaling. Mesh suspenders and rear panels provide great ventilation. The cargo pocket is perfect for your phone or credit card. Reflective details will keep you safe on rides that last until after sunset. Supremely comfortable shorts for long days of riding. Using a tape measure, take the size around the fullest part of your chest. Note that you hold the tape horizontally. Turn the tape around the narrowest part of your waist holding the tape horizontally.